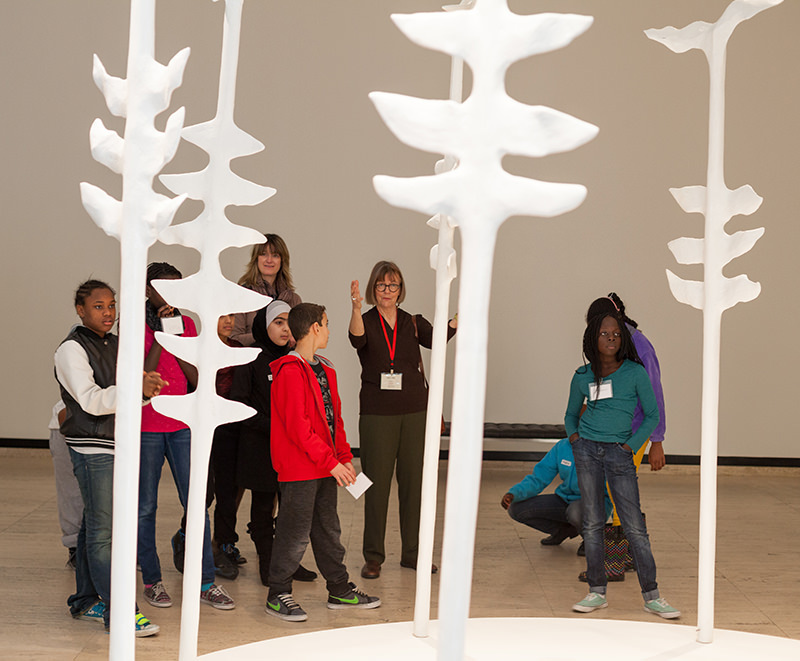 Docents are dedicated volunteers who are passionate about art, learning, and community. They facilitate tours and guided conversations about Sheldon’s collection and special exhibitions for diverse audiences, including the long-standing Sheldon-LPS tour program. They also support other education and programming activities such as Sheldon’s annual Family Day. One needs no prior experience with teaching and art to be a docent. Sheldon educators provide a formal docent training course each year to prepare volunteer educators for leading discussions about art. Fall training is held August-September, and Spring training is in January; there are also monthly training days for continued education and exchange about exhibitions and inquiry-based teaching strategies. Being a docent requires commitment—from a small annual fee that supports materials and hospitality to minimum tour requirements—but the experiences comes with rich rewards! For more information about Sheldon's volunteer docent program or to apply, please contact Jessica Rosenthal, assistant curator of education, at jrosenthal@unl.edu or 402-472-2092. Applications for new docents for the 2018-2019 year are due: August 1, 2018. The information hub for current docents can be found here.